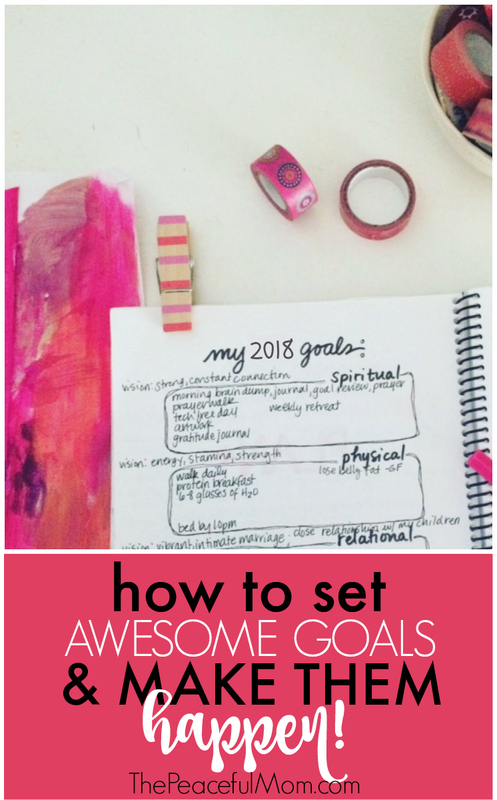 Learn how to set goals and make them happen — and take a peek at my goals for this year! I had a mini nervous breakdown yesterday. And suddenly I felt tremendous pressure to produce the perfect goals before the date changed to January 1st. It’s not like I haven’t already been thinking about them, but suddenly I felt an urgency that honestly made me want to shut down — completely. Like hibernate in my bed under the covers until February … or March. Do you feel the pressure this time of year too? Well, I have a plan for you. 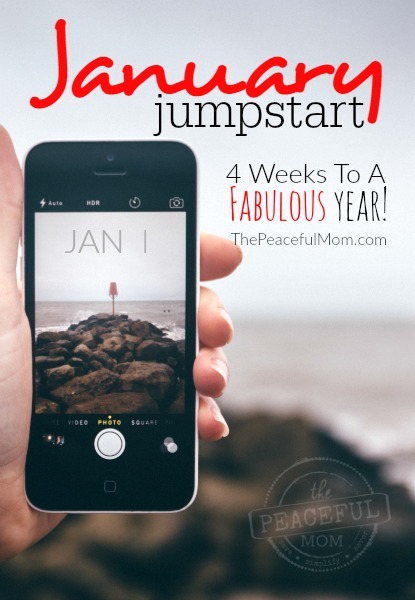 For the next four weeks you can join me for my January Jumpstart (otherwise known as the 2018 “Get It Together” Challenge) for tips, tools and strategies to get your life started off in the right direction. Each week I’ll give you specific steps you can take to bring order, joy, peace and passion to your days. To join us, see the instructions at the end of this post. 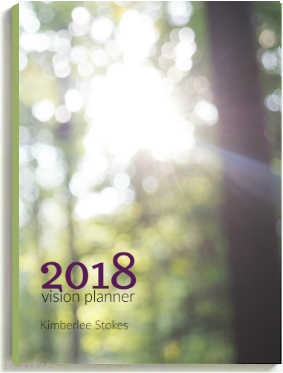 Today we’re focusing on gaining vision then setting awesome goals that work for the upcoming year! If you’re feeling the New Year Haze like I was, let me show you how to set goals and make them happen in 2018. Let’s start by thinking about all of the good things that happened last year. You can also make a note of the challenges. I think it’s good to gain perspective on the hard stuff. 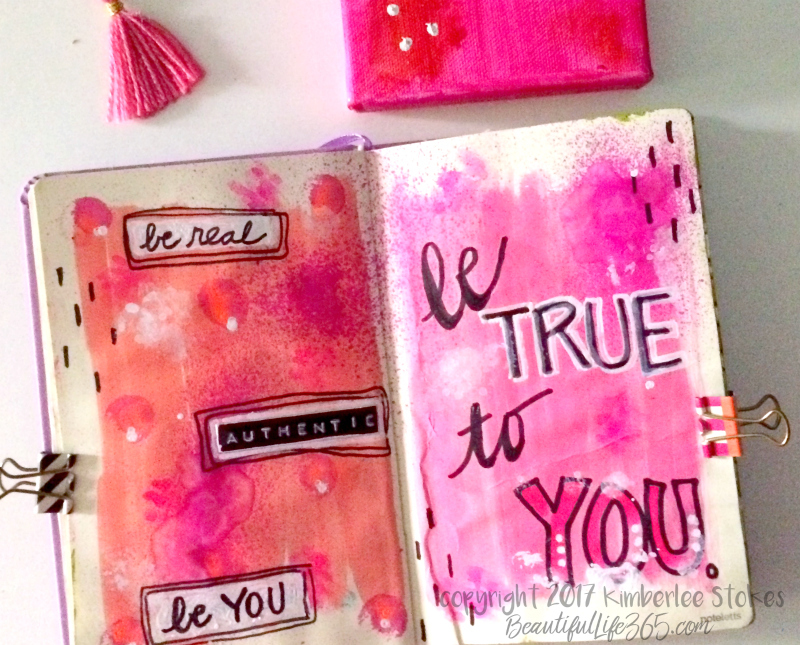 I like to flip through my Joyful Life Playbook from the previous year to remind me of all the goodness. (The “Celebrate Last Week” sections help me to do this really quickly). I also look through the photos on my phone. Next, it’s time to evaluate how your life is going right now. Think about the areas where you’re doing well as well as the areas where you’re struggling. Imagine how you want life to look then write that description down on paper. And be specific. Think about what you want as if there are no restrictions to achieving those dreams. 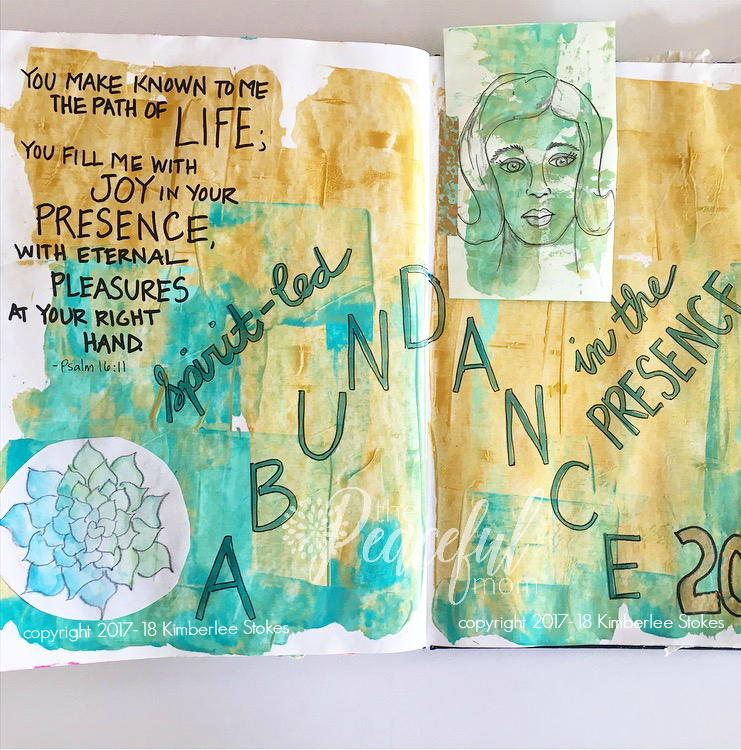 The beginning segments in the Beautiful Life Video Course and the DREAM section in the Joyful Life Playbook guide you step-by-step through this process for every area of your life. I personally translate my big goals into action steps and then add those tiny action steps to my weekly plan. 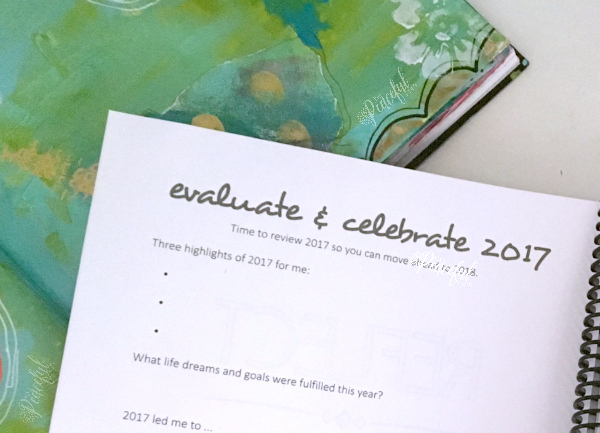 I’ve created a genius exercise in the Joyful Life Playbook to help you do this painlessly, but let’s take a peek at my goals for this year so you can see exactly what I mean. Goal: Maintain a close spiritual connection with God at all times. Goals: Lose 30 pounds by September. Goals: Live at a slower pace, engage in real life and enjoy more daily. Goal: Enjoy a vibrant, intimate relationship with my husband. Goal: Encourage and equip each of my children. read a book together with each of my children at least once this year. Goals: Cut expenses and save $4000 for bathroom remodel. Goal: Create and enjoy a peaceful home where my family and others feel comfortable. 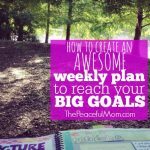 It may seem like a lot of details to keep up with, but each week I choose several action steps and schedule them into my weekly plan. Breaking the big goals down in this way prevents overwhelm and ensures that I actually make progress toward my goals. I encourage you to take the time to make a few goals for 2018. Just remember, don’t wait for perfect, simply start with something. Goals that you make today can be changed on January 2nd, or 8th or 31st. 2. Leave a comment below telling me at least one goal you have for 2018. Everyone who leaves a comment on this post will be entered to win a prize pack of organizing and money saving resources from The Peaceful Mom — yay! Let’s Make This Year Fabulous! 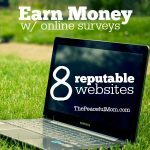 My Fave Online Sites to Make Money! Click HERE to pin this post to your Pinterest Organizing board. 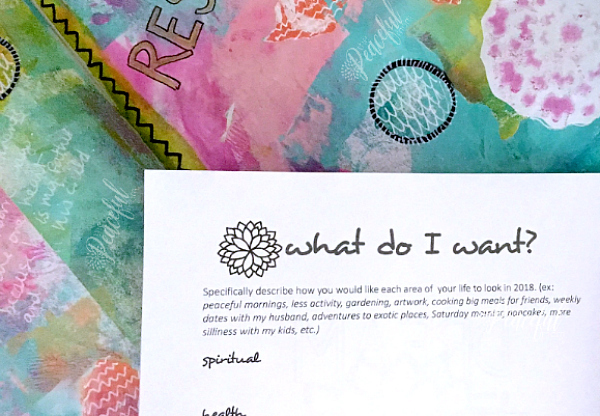 Join 38,000 fans and follow The Peaceful Mom on Pinterest HERE. Previous Post: « 5 Awesome Ways to Start the New Year Like a Boss! Get my home more organised so life is simpler and my brain doesn’t feel so cluttered! Fantastic plan Anita! A decluttered environment definitely helps with the overwhelm. This year I really took the time to think of meaningful, helpful and fulfilling goals. My second goal is to lose 50lbs by working out at least 3 days per week and meal prepping my lunches for work….so far so good!!!! My last goal is to plan and save for a family vacation we’ll be taking next year. There are 5 of us so saving for the entire trip is going to take a while! I love that you made your goals truly meaningful to you and your family, as well as specific so you know when you’ve reached them. Great job Shawna! Pay off $7400 in debt and use the extra money toward a new (used) car purchase by July. Awesome Karen! Your goals is specific and you have a deadline. You’re totally going to rock this! I will make a better effort to declutter my house. Great plan Cheryl! Have you seen the 31 Day Decluttering Checklist in the Resource Library? Awesome Niki! You can do it! To sell/gift all of the toys and games the children have grown out of and to put the money towards a family holiday. To walk 1000 miles in 2018! thought I had commented but didn’t see it so commenting again. Purge & organize is a biggie that needs doing. Thanks and yes it is going to be a big year for me. My big goal is to take a trip to the USA! Besides Disney, going to visit Sherwood Baptist Church in Albany, Ga. Any readers from Albany, to say hi to me? God bless you and your family, Kimberlee. You are such a good inspiration to me! How fun! Do you want to visit Sherwood Baptist because of the movies they’ve produced? Bless you too Sandra! Because they are an inspiration too! Their faith, their movies, everything! I am from Lagoinha Baptist Church. If you want to visit us, I will be very glad! Focus on improving health, as much as is in my power. The rest is up to God to heal me. So true Paula! Good for you for taking responsibility for what you can do. My main goal is to live life as a single mom who homeschools. I have a lot to learn and figure out, including an income. Your goals are so good. I love how they are broken down and attainable. I’m sorry you’re dealing with being a single mom Marisa. I have a couple of friends who are newly single and it’s such a challenge. One of those friends is also a homeschooling mom and she has been teaching English online and making really good money. You can read about it HERE if you’re interested. Blessings! Love that this is specific and attainable Melanie! Declutter!! This has been my goal for three years now, and excuse (no time for a garage sale) after excuse (not enough time) has led to resolutions that are moved from one year to the next, much like I keep moving junk from one room to the next. This.IS.The.Year! I would like to restore order to my study area with routines in place so I don’t overlook important bills or dates. I LOVE the Micaela’s word: intentional. I am planning to be more mindful and intentional …in what I do with my time, what I do with my space, what papers I really need (office! ), how my time is spent, what my expectations are of others, how we spend family time and how I prioritize self care. 1st step – the office purge and reorganization! Really great goals Beth! And I love that you decided your first step. You can do this! 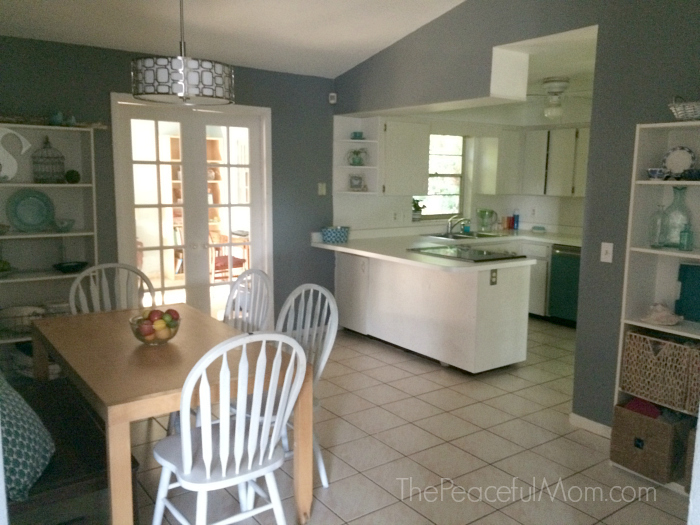 Peace, comfort, & simple beauty in our house, weed out and stay on top off clutter and dust. I feel like this year I really need to put my focus back on God but reading the Bible daily (at least one chapter). I’ve let life get too busy and forgot what was most important and I feel that if I refocus on God I can begin to get everything else in order. Thanks for having this community! Really great goal Dena! I’m reading the Bible every day this year too. It’s really motivational to have a chart to mark off each day that I’ve completed my reading. First of all I would like to take a moment to say how much I enjoy your blog and emails. Even with how crazy God challenged you last year 😉 your work you sent out never seemed disorganized or frantic like most of us would. So my goal for is to find weekly dishes that will provide nurishment and save money and time for our family. My simple goal to start with is to get rid of clothes that I dont wear- ones i think i’m gonna wear or that will come back into style. Ones that have been taking up space in my closet for the past 6-10 years just because i like the way they look. Same with socks! When it became “sock season” in Virginia Beach this October, I started throwing away any socks that were tattered or torn in any way and ones that I “thought” I could somehow find their mate. What a great feeling. I am getting my house and life ready for a new me, a new year, a new adventure with a soon to be 18 month old!! Oh my! Yardsale prep has begun!! Now pray for me on the separation anxiety of clothing items. Its gotta happen! Thanks so much for your encouragement Joy! That’s good to know that I was able to stay “professional” in the midst of it all. 🙂 I love that you have made very specific goals, and if you’re talking about getting rid of your child’s clothing, I always kept at least one favorite outfit from each stage (baby, toddler, older toddler). I have them in a plastic bin in the garage and I love looking back at them. Maybe I’m weird — haha! Four kids, full time job…I want to be proactive in the New Year so that mornings and afternoons run smoothly and we aren’t all running around like chickens with our heads cut off! Haha! That’s something that my mom would always say. Yes, here’s to calm mornings and afternoons for you Amy! I am going to pay off credit card debt using Dave Ramsey’s advice. The credit card debt is a constant source of anxiety for me. I am tired of living with the stress of credit card debt! Our family is going to make some BIG changes this year. We are taking the children out of private school and I am going to home school for the 2018-2019 school year. This will save us a ton of money, and I can enjoy more time with my kids. I have friends and family who homeschool, my husband was homeschooled, and I feel this is going to bring us closer together. I am going to take on a part time job on the weekend and really attack this debt. Please pray for me! Good for you for working toward being debt free, and I hope you LOVE homeschooling. It has it’s challenges to be sure, but I have really enjoyed having the time together as a family and being able to tailor my children’s school work to their interests and abilities. 2018 is going to be a good year for you Laurie! Thanks so much for your prayers and encouragement Shay! I truly appreciate it. I’m impressed that you’ve already accomplished so much. Good for you! My goal is to make some organized logic out of the chaos my life currently is. Family time, healthier meals, financial stability, and designing specific schedules prior to the construction we are going to begin in the spring is a necessity for my own sanity. 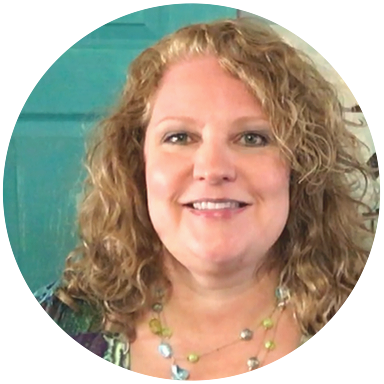 I am a homeschool mom (this is our 21st year), minister’s wife, and children’s non-fiction author. Additionally, I do freelance educational copywriting on the side. One of my goals for 2018 is to manage my time better and not let my ‘business hours’ overtake my life in the evenings and on weekends. An aside: I tend to procrastinate, and I get off-track very easily. Then I get upset with myself for not being more productive and efficient with my time and energy. So, although I know that choosing one word for the year is usually the norm, I actually chose THREE words this year–FOCUS, CONSISTENCY, and GRACE! Looking forward to your posts and encouragement!! I’m ready to claim 2018 for me! Good for you Beth! It’s so important to take care of ourselves. One of my goal this year is to lose 10 pounds by June. I’m going to a wedding and would like to look good and healthy. Thank you Kimberlee for the inspiration and setting an example to follow. You are so welcome Mary Ann! We’re moving, so I need to sort through everything. It’s a big job, but I’m looking forward to a fresh start. Thanks for inspiration! I always hate moving, but love the opportunity to go through all of my stuff and purge. You can do this! This is my year of FAVOUR/FAVOR! I know that God will awesomely bless me and show me His favour, and I’m counting on His help to show favour to those around me, starting with my family, which at times can be hard, with the challenges of supporting and encouraging my lovely husband, as well as nurturing two teens and a pre-teen, with all the emotional and physical roller coasters! On a practical level, I really want to reclaim our house back and work at bringing it back to being a welcoming, inviting, spacious and ordered environment to live and have fun in, rest in and make long lasting memories! I LOVE that word Debi. And I love that you created a vision for what you want your home to be. Great job! 1. Focus on my marriage. Simple and powerful. Great job Kelly! Have a game night each week with the kids. One goal is to focus on my total health — mind, body and soul — by eating well and keeping carbs low, exercising 5x per week, reading, creating, and taking some courses in areas that will feed my soul. If I’m not healthy, I’m probably not going to make much progress in the rest of my goals, so this has to be at the top of my 2018 goals. You are so right Lisa. Health makes everything else possible. 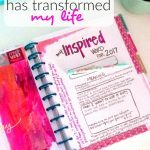 My major goal for 2018 is to earn a steady income from my blog so I can stay home with my girls! Great goal Haylee! You can do it! Do you follow Amy Lynn Andrews? She has some great info. I do not – but I will look her up now. Thanks for the suggestion!!! I’m working on purging my papers and possessions so I can downsize and possibly move into to smaller, WARM home. Yay! Thanks for joining us Diane. My goal is to be more present and really listen when my children and speaking. I’m in! Can’t wait to get organized. Woohoo! Thanks for joining us Jennifer! Decluttering and organizing my home are the 2 main big goals for 2018. You can do it Catt! Self care and love, and to remember, progress, not perfection. Yes! Have you seen the “Progress Not Perfection” print in the Resource Library? I have lots of goals! Pay down debt and finally get to the beach are on the top of my list! I need to do so much everywhere. Decluttering and de-debting are my main goals. My husband and I are in our mid 60’s and certainly do not want to leave a mess for our children. The work goes slowly for me, but it will be so worth it to accomplish as much as possible. You can do it Rebecca! I need to work on menu planning and organization. Thanks for encouraging me. 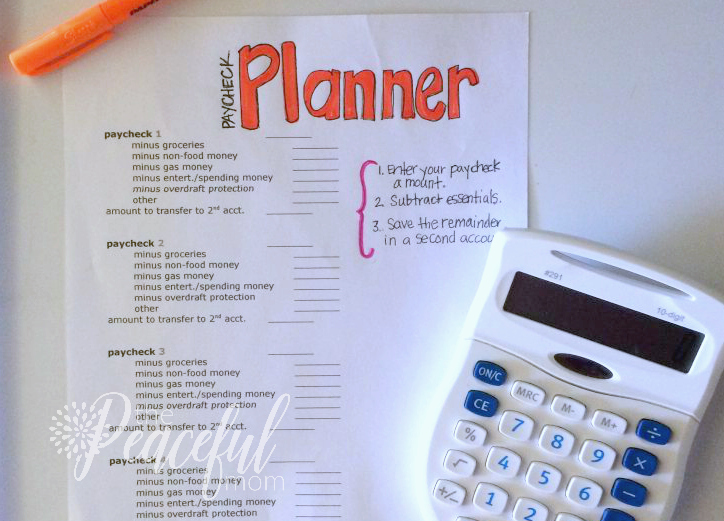 My goal is to get out of debt and to stay organized! Awesome! Thanks for joining us Amanda! Aw, so glad I could encourage you Lola! Blessings to you and your family too! One goal I have is to start paying down our debt and make sure there isn’t any false information on our credit reports. Awesome Kate! You will never regret being debt free. My goal this year is to declutter our house and to try to save enough money to pay for a family vacation to Disney. My goal is to be more intentional in how I spend my time by bringing my focus back to God and my family. Be intentional in spending time in God’s word. Have monthly outings with the kids and a monthly date night with my hubby. Reinstate family game/movie night. Declutter my home and make some fun memories with my family. I want to focus on decluttering and organizing. I’d also like to focus more on my husband and daughter. Life can pull me in so many directions and I’m working one step at a time to set aside what’s not important so I can focus on what is! I like your 10-minute declutter idea; I’m going to work on that this week! You will never regret the time you spend with family Jaime. I made an effort to have more family time this past year and we made such sweet, amazing memories! Replace the income of my J.O.B. with my Nygard Style Direct business enabling me to resign the job.